So we made this for you. This is your complete guide to the all-inclusive Xel-Ha Park and it includes a full list of prices and activities! You need to know that Xel-Ha is a HUGE! See large map or Xel-Ha here. 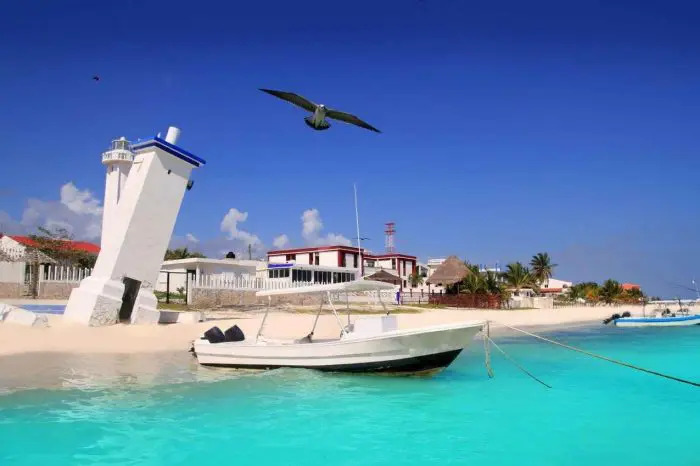 This theme park/nature reserve is nestled in a quaint cove with tranquil waters, making it the perfect spot for some awesome Riviera Maya snorkeling. You’ll be looking at an array of fun activities for young and old, and there really is something for everyone. Do you prefer to lounge around sipping on some tropical drinks while stretched out in a hammock? Do you want to snorkel with colorful tropical fish or jump off cliffs? This handy guide contains everything you need to know about Xel-Ha Park all in one easy-to-read article. To make it easy to follow, we’ve divided the piece into the following sections. If you want to read just one specific section, simply click on the links above to go directly to the part you want to read. To return to the top, click on the gray arrow on the bottom-right of the screen or on the “Back to top” button at the end of each section. 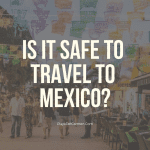 There are several things to know before making your trip to visit Xel-Ha Park. These tips will help you better enjoy your experience and get the most out of your money. Make sure to take along an underwater or waterproof camera. You can get some great action shots at the park, and you may even get some cameos from some amazing tropical fish. Only use biodegradable sunscreen. Normal sunscreens contain oils that pollute the water and cause illnesses in the marine life. 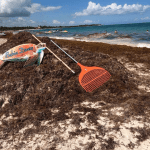 Be conscious of your impact and support the efforts of Xel-Ha Park to protect the environment. Xel-Ha is open 365 days a year from 8:30 a.m. to 6:00 p.m. At around 5:00 p.m. they start to slowly encourage people to start leaving the park. Before departing, expect a surge of people to try and get in a meal at the only restaurant open at that hour. 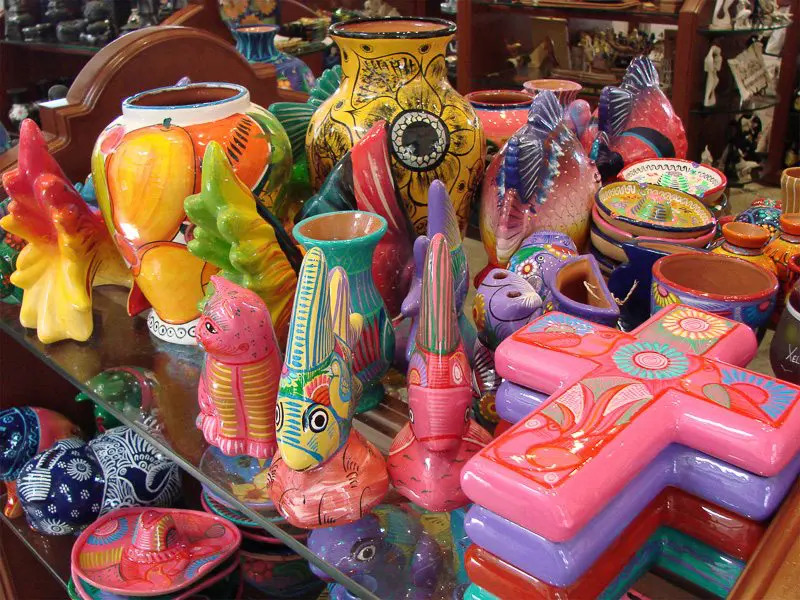 While most everything is included in the price of your Xel-Ha admission, little extras such as tips, souvenirs, and optional activities aren’t. Keep that in mind if you decide to purchase something (or in case you lose your snorkel equipment). Make sure to get to the park as close to opening time as possible to enjoy everything Xel-Ha Park has to offer. In fact, there are so many things to do at Xel-Ha that you simply won’t have time to do everything. You’ll want to know which activities you’d like to do before you arrive at the park. 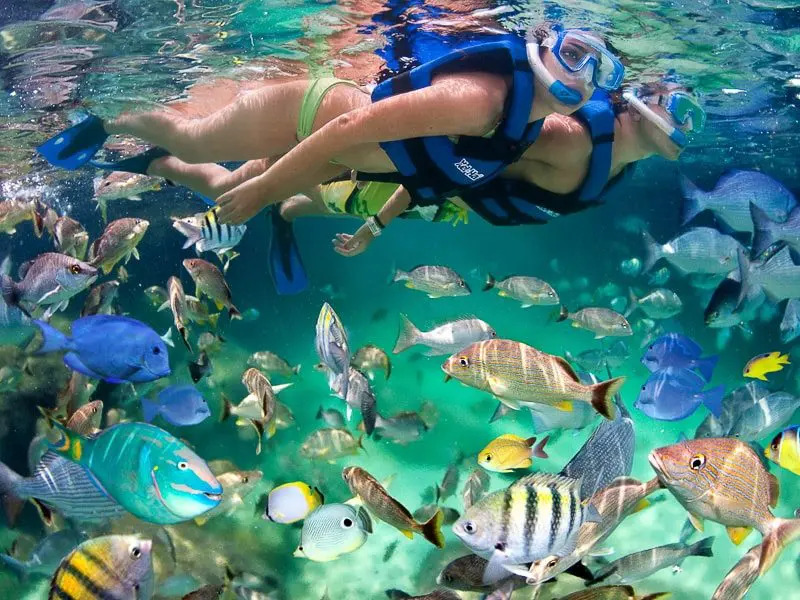 Snorkeling is one of the most popular activities in the Riviera Maya, and the Xel-Ha snorkel adventure wins big. The park’s tranquil and crystalline waters provide the perfect playground for leisurely underwater explorations. The protected cove is home to a variety of species such as parrotfish, angelfish, surgeonfish, pufferfish, angelfish, damselfish, snapper, sergeant major, barracudas and queen conch. If you’ve ever seen terror movies with beastly crocodiles emerging from the mangroves to attack their unsuspecting prey, the Xel-Ha river tour may provide an extra dose of adrenaline. Have no fears, however, as the only crocodiles you will ever see here are the stuffed ones on sale at the Xel-Ha gift shop. In reality, the river tour is a relaxing float in inner tubes along the freshwater mangrove channel leading into the cove. Here freshwater converges with saltwater from the sea to produce what is known as thermocline and halocline, which produces the mesmerizing turquoise color of the water. 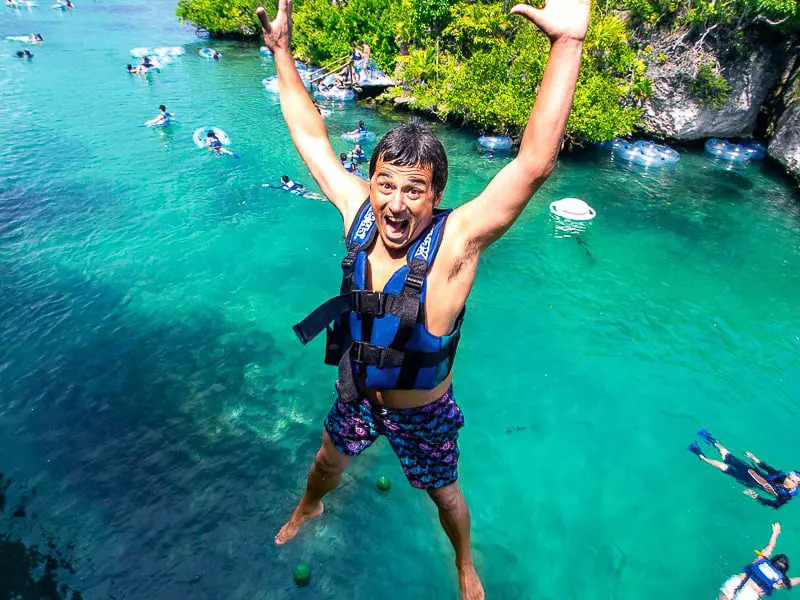 As you float down the river, you’ll pass by other Xel-Ha attractions such as the Monkey Jump and the Cliff of Courage as well as the Salpichanga and the Trepachanga. Cenotes are an iconic symbol of the natural beauty of the Riviera Maya. At Xel-Ha, you’ll have the chance to experience the Mayan Cava, which is a closed cenote. Words don’t do justice to the sensation you get from swimming in these mystical bodies of FRESH water, and the Mayan Cave at Xel-Ha is a beautiful way to experience a cenote. Also known as the Cliff Climb, the Cliff of Courage is a spot along the river leading into the cove which allows you to scale up a small cliff before making that leap of faith back down into the refreshing waters of the river. The Trepachanga attraction challenges your ingenuity, balance, and strength as you cross the river between two ropes and a series of challenges. Can you make across without falling into the water? 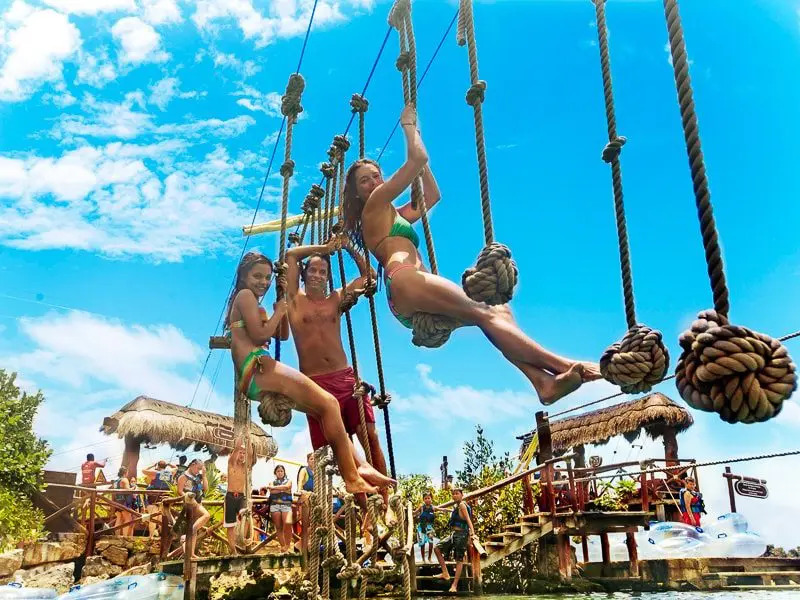 You’ll need a good sense of equilibrium and a taste for adventure to overcome this extremely fun Xel-Ha tour activity. Salpichanga is a short zip line course can be taken on either from the river itself or from the garden paths. Feel the energy and the breeze in your face as you fly from the platform down into the cool, crystalline waters of the Xel-Ha river. 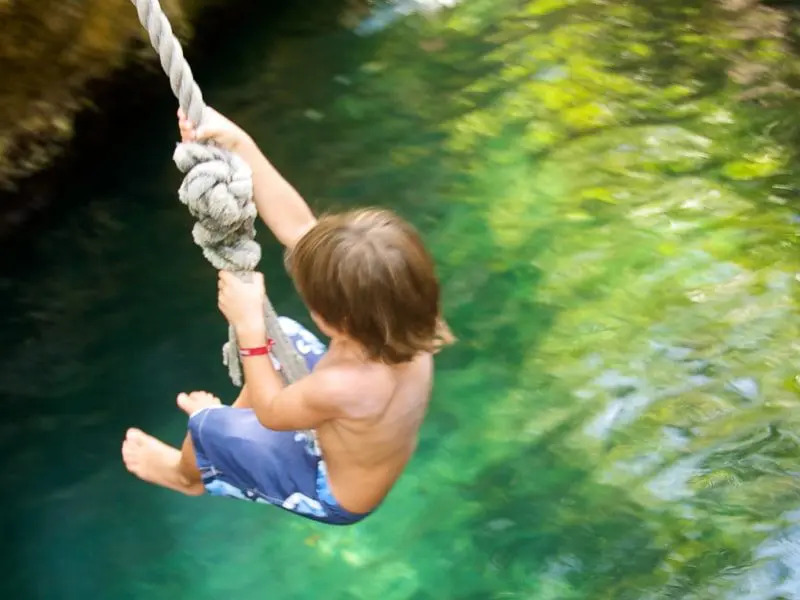 Brave the elements at Xel-Ha and live out your Indiana Jones-style fantasy of swinging on a rope over the turquoise water of the Xel-Ha river. High upon a perch in the Ixchel Grotto, you’ll set flight on your rope swing before making the jump into the depths below. 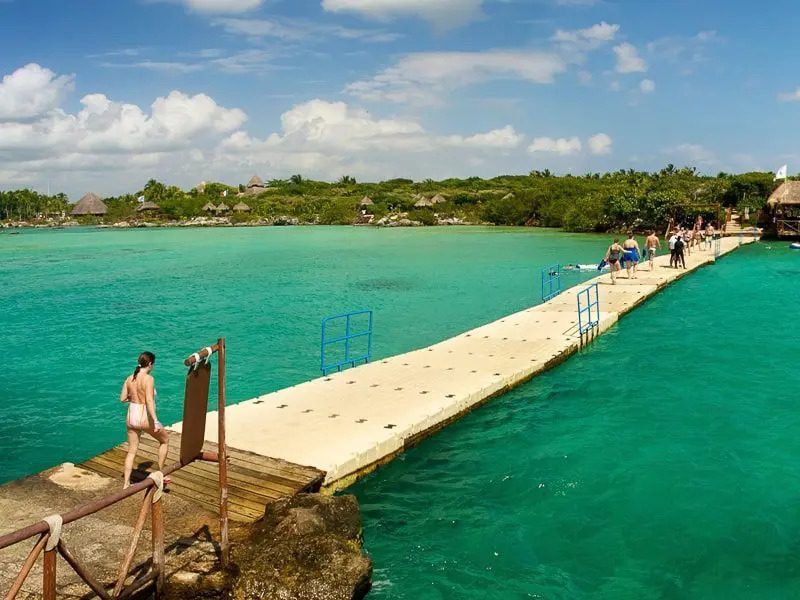 The Xel-Ha inlet is the cove for snorkeling, but it’s also a great place to simply have a swim or sit around on the steps leading down into the water as you watch the people having a blast as they snorkel around the cove. More than 400 species of marine flora and fauna call the Xel-Ha inlet their home, and if you’re lucky you may even see some sea turtles. The Bay of Caprices is a small cove set in the middle of lush vegetation, just steps away from the floating bridge. This little piece of paradise is generally less crowded than the Xel-Ha inlet. 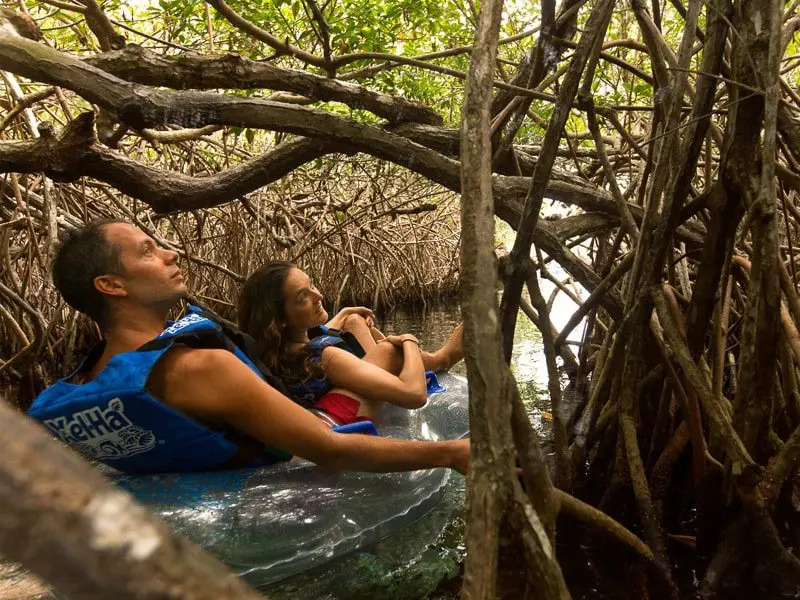 If you’ve never experienced the fascinating labyrinth of a mangrove forest, you’ve missed out on one of Mother Nature’s most amazing and useful inventions. A thicket of entwined branches that curve and embrace below and above the water, the mangrove forest allows you to observe an ecosystem that is essential to the survival of coastal regions. Not only do mangroves provide shelter to a large variety of wildlife, they also supply coral reefs with nutrients and oxygen as well as protect the coast from hurricanes and erosion. A testament to a time gone by and the rich history of the ancient Maya in the region, the Maya Wall is a small portal to a fascinating world. 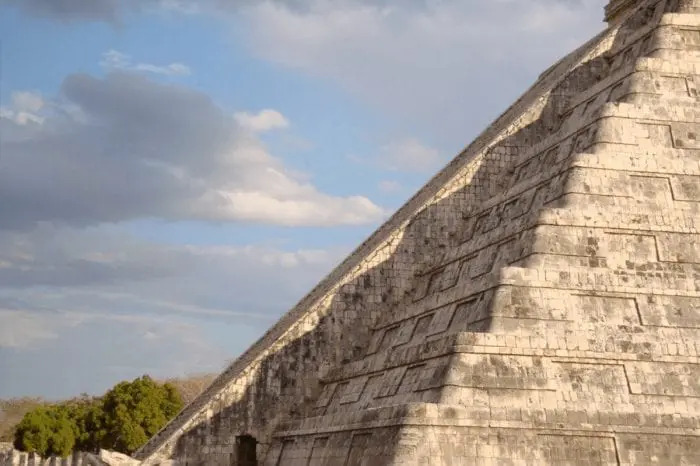 A reminder that the Riviera Maya was once home to one of the world’s most important civilizations, the Maya Wall is there to remind of how the past is still a living part of our world. his activity doesn’t take much time and is good for a few pictures. 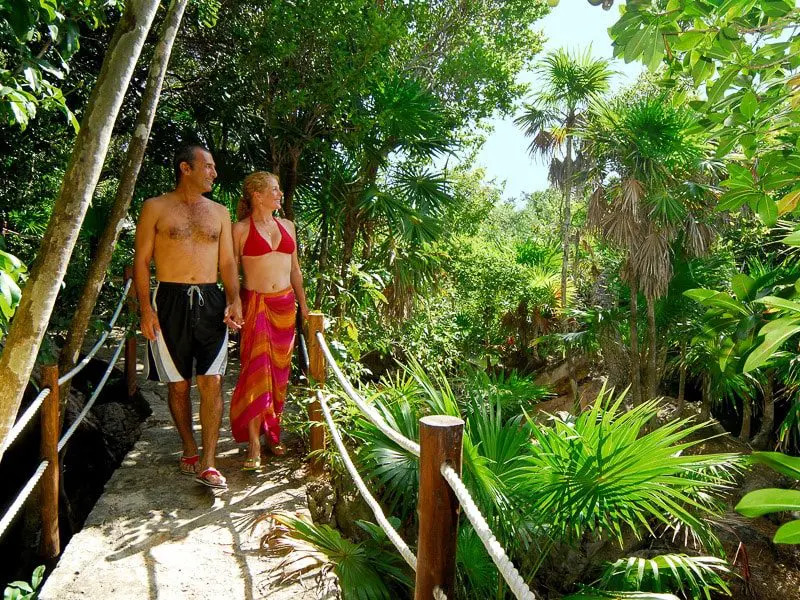 Get out of the water and step away from the sun as you stroll along the jungle trails at Xel-Ha Park. You’ll have the chance to see a variety of wildlife, observe the local flora, and read the numerous stone-carved inscriptions that can be found all along the trails. 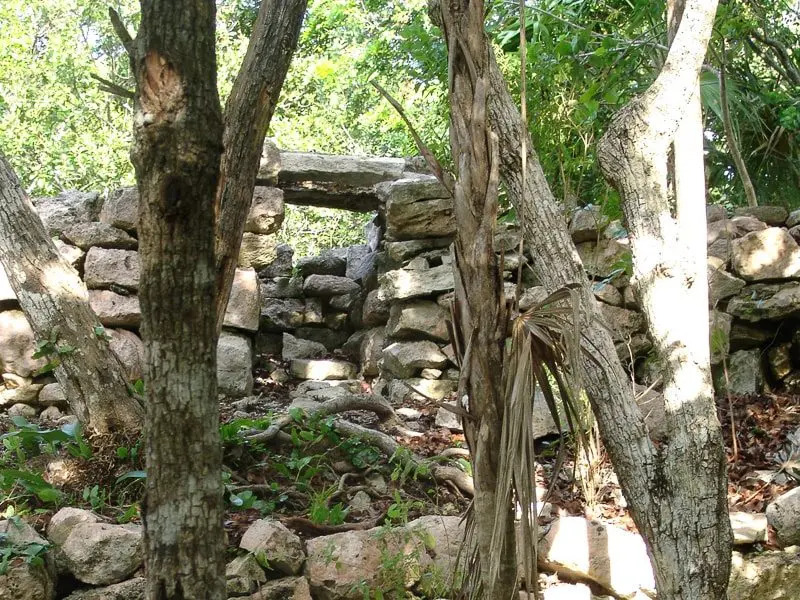 Called the Path of Consciousness, take time to enjoy this natural treasure whenever you visit Xel-Ha. Celebrities are among the many people who visit Xel-Ha each year. 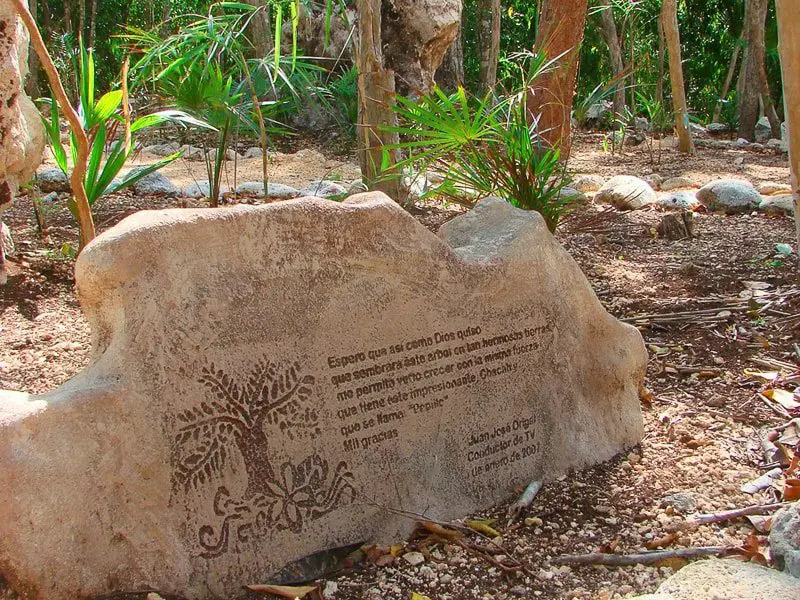 Those that do are invited to plant a Chacah tree and accompany it with a stone engraving. 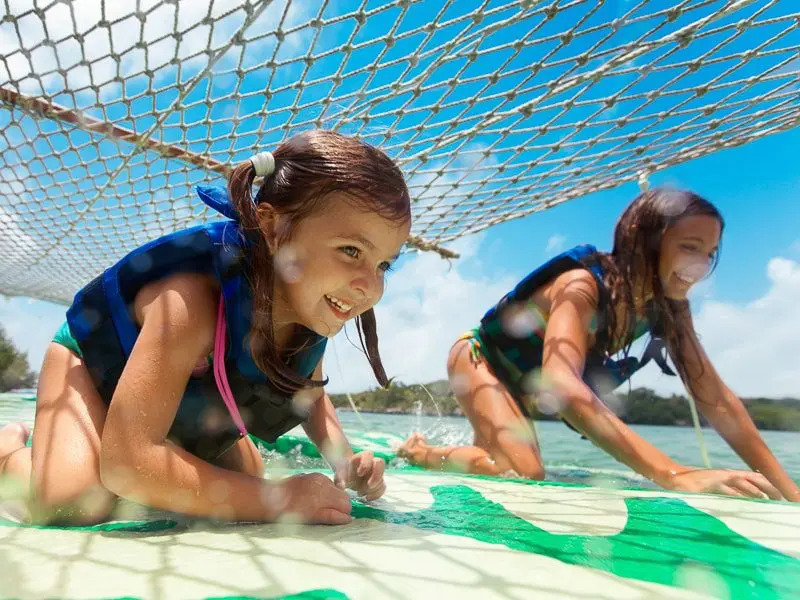 Xel-Ha Park is a wonderful place to take the kids because of the variety of fun activities and attractions for all ages. However, the Children’s World, in particular, is designed to keep the wee ones busy and having fun. Activities include a waterslide, a crocodile tunnel, wading pool, rope climb, seesaw, and diverse interactive activities. 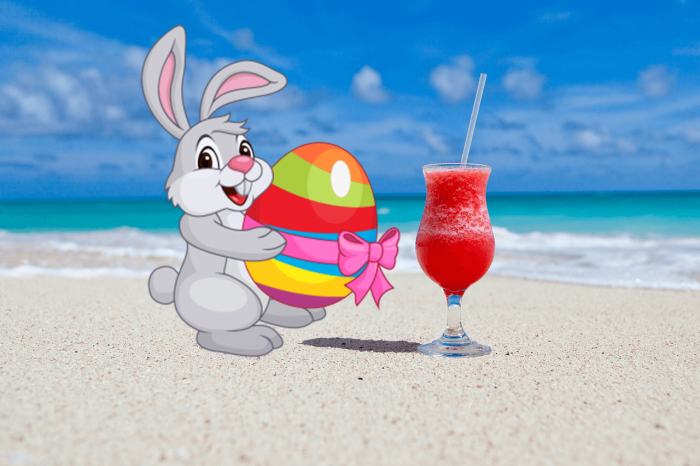 Also, you can check out our blog for more top activities to do with kids in Playa del Carmen. Cenotes are basically sinkholes which can be found throughout the Yucatan Peninsula. To the ancient Maya, cenotes were sacred bodies of water considered to be portals to the Netherworld. You can find 2 cenotes at Xel-Ha Park: Paradise and Adventure. Although swimming is not allowed, these cenotes are definitely worth a visit. To learn more about these mystical sinkholes, see our blog post on what are cenotes. The Floating Bridge is an extension of the jungle trails or Path of Consciousness at Xel-Ha Park. A combination of interconnected sections that float, the bridge separates the cove from the Caribbean Sea. How about flying a kite at Xel-Ha Park? Loosen the string and launch your kite into the air as it begins to soar with the azure waters of the Caribbean Sea as the backdrop. This activity can be done at the Lighthouse area from 3:30 to 4:30 p.m.
A bike ride through Huh Land doesn’t require a lot of effort, making it a good activity for pretty much all levels of adventure-seekers. The 1.6-mile trail will allow you to leisurely pedal along the nature path, where you’ll have the opportunity to see a variety of wildlife and fauna. Bikes are available for almost all ages, and bike seats are available for the youngest among us. If you want to visit Chacah’s Garden, you can combine it with the bike ride. Since ancient times, obtaining honey from the local Melipone bee has been considered sacred due to this sweet treat’s curative properties. 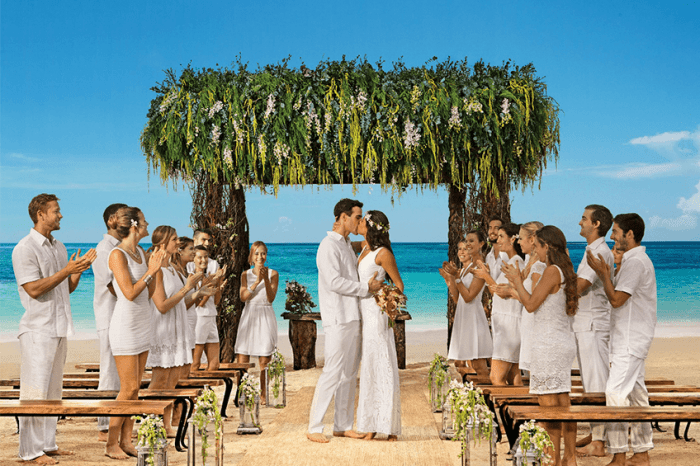 At Xel-Ha, the honey is harvested twice a year in a special ceremony held on the full moons of June and December. 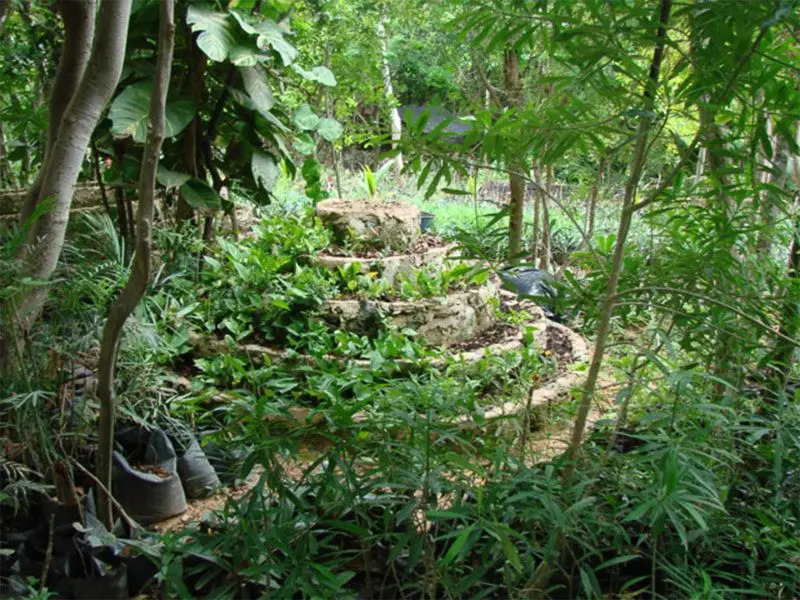 The Xel-Ha Nursery is a conservation project that looks to protect the more than 270 species of plant species at Xel-Ha Park, many of which are endangered due to deforestation and exploitation. This outdoor botanical garden also hosts a replica of a Mayan village. A great place to learn about the environment while taking in the beauty of Xel-Ha. 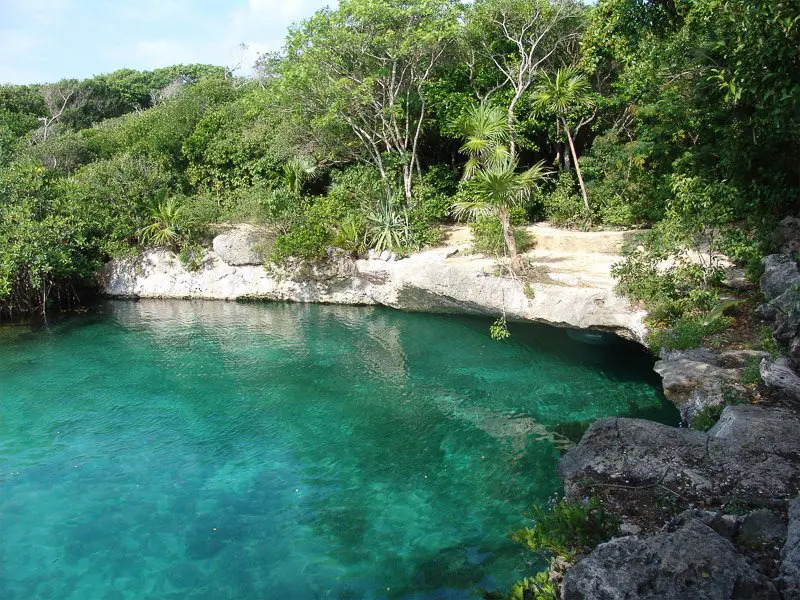 The convergence of fresh water and salt water bodies at Xel-Ha Park provides the perfect eco-system for the queen conch to thrive free from human exploitation. Considered an endangered species, many of us have come into contact with the beauty of the queen conch as adornments and decorations. Xel-Ha works together with an academic institute to protect and study the queen conch, allowing you to experience the beauty of these majestic creatures alive and in their natural environment. 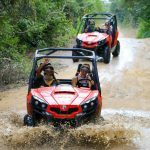 There are several optional Xel-Ha activities available at an additional cost. Prices depend on the activity, and some are more recommendable than others, however, you’ll honestly have more than enough fun with just the normal park activities. While Xel-Ha offers optional dolphin swims, we in good conscious cannot recommend this activity. Check out our blog post on things to do that are better than swimming with dolphins for some alternative ideas. Remember those old-time scuba diving helmets? 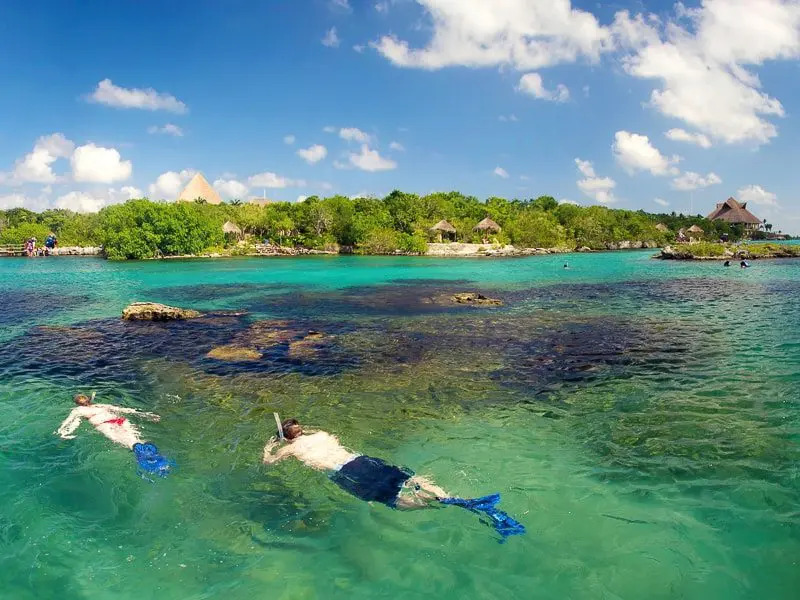 Well, Xel-Ha offers a modern-day version that allows you to walk along the bottom of the Caribbean Sea. 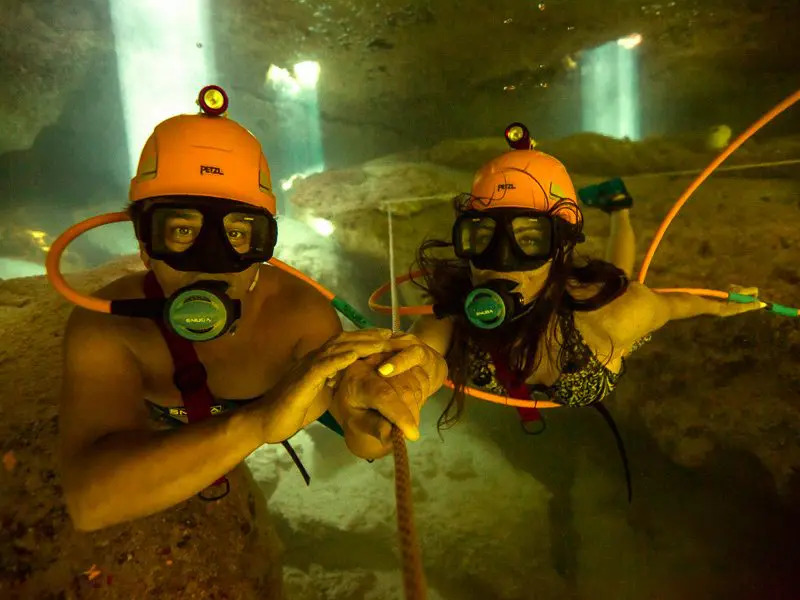 A mixture between snorkeling and scuba diving, Snuba at Xel-Ha offers you the opportunity to dive down into the depths of the cove or a cenote to discover a magical marine world up close. This activity has actually been canceled until further notice. However, you can still go and observe these beautiful manatees. You probably didn’t see this one coming. 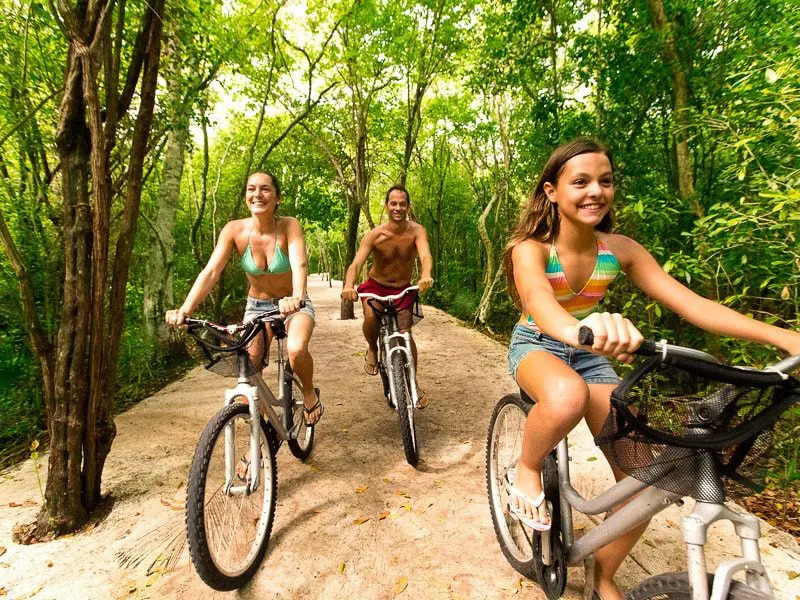 Pedal along suspended cable on floating bicycles over the tranquil waters of the Xel-Ha river. Interact with these majestic sea creatures in the water and see for yourself just how beautiful they really are. 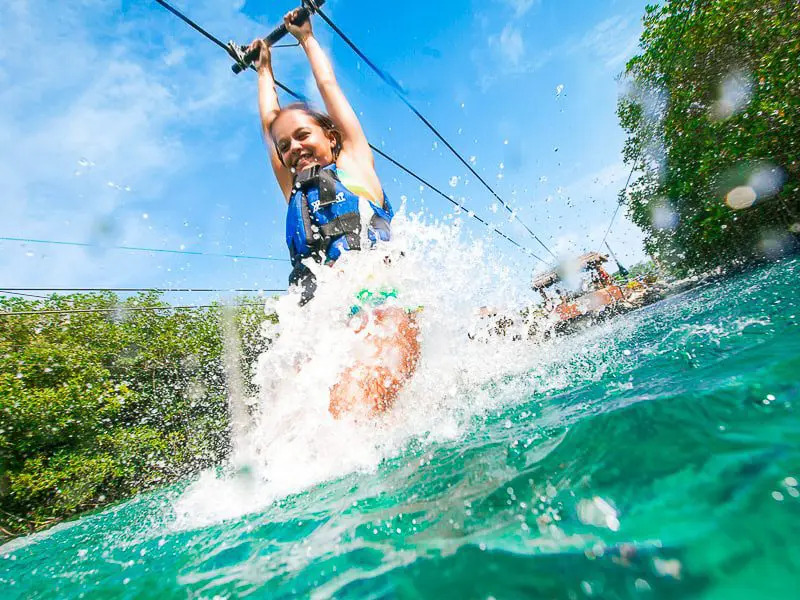 Extreme fun awaits you on the Adrenalina Xel-Ha tour, which promises 360° thrills, dips, and turns in the Caribbean Sea. Also known as Xpa, combine a day of fun and adventure with some me time that includes a holistic healing experience in the middle of nature designed to renew mind and body. 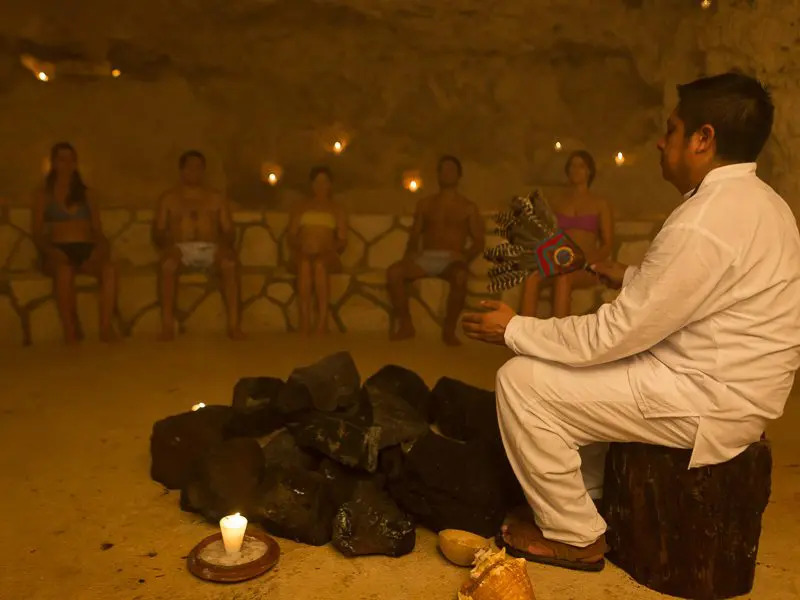 A temazcal is the Mayan version of a sweat lodge. It’s not only a neat experience but a healing one, too. You can experience a typical Mayan sweat bath in Xel-Ha. 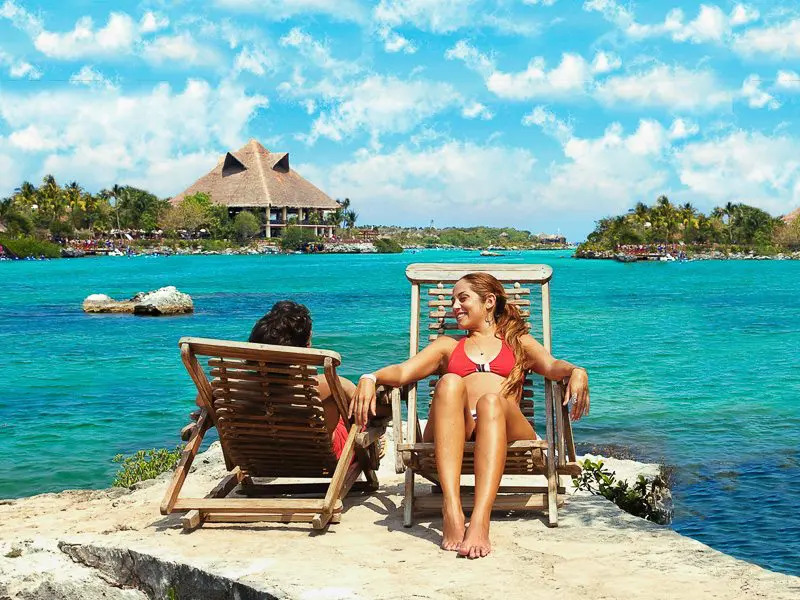 The facilities and services at Xel-Ha are world-class, so expect the same standards here as you would at any major park throughout the world. As per international standards, Xel-Ha Park has facilities for people with disabilities, including wheelchair rental. WiFi is also available so that you can stay connected and upload a few pics from paradise to your social media profiles. Snorkel gear is included in the price and can be picked up at special modules located throughout the park. You will need to return your gear to the same module where you picked it up to avoid being charged any additional fees. One of the great things about this place is that Xel-Ha is an all-inclusive park. Breakfast is available every day from 9:30 a.m. to 11:30 a.m., and a lunch buffet can be enjoyed from 11:30 a.m. to 5:30 p.m. There are 4 Xel-Ha restaurants and a variety of bar stations situated throughout the park. Enjoy breakfast at the Chulavista Restaurant, then choose between La Cocina del Pueblo, La Terraza or Jardin Corona for lunch. Several restroom facilities can be found throughout Xel-Ha Park. You’ll have access to lockers to store your personal belongings, and showers and dressing rooms are distributed at six different locations. Towels are included, so no need to bring your own. 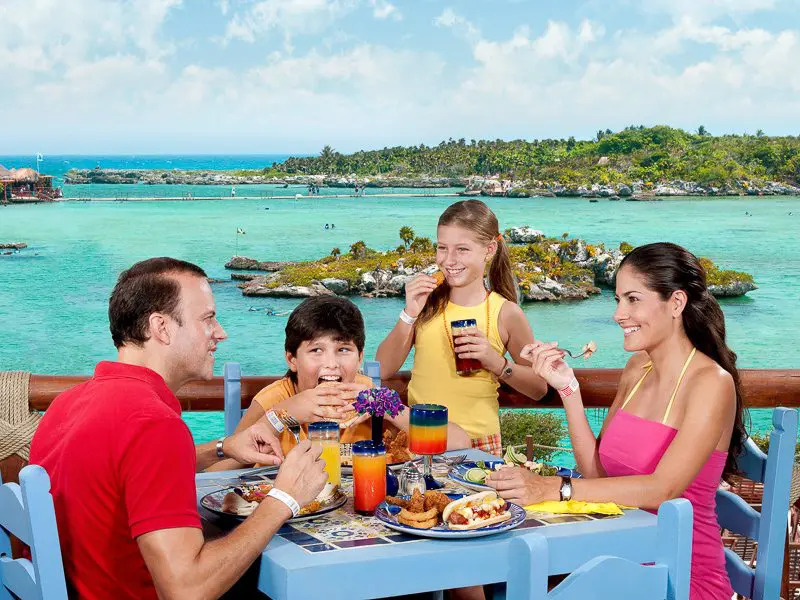 While you are allowed to bring in your own cameras, you can also purchase special packages of Xel-Ha pictures available once you leave the park. You can purchase exclusive souvenirs at the different gift shops which can be found at strategic locations throughout the park. Prices are a bit steep, but you’ll also be getting quality products. ATMs can be found at the entrance to the park. There is also a hammock area for relaxing and taking a break from all the action. If you have any additional questions, look for the ATV Modules (Attention to Visitors) for some friendly advice. Xel-Ha Park is located in the Riviera Maya, Quintana Roo, between Playa del Carmen and Tulum. In fact, Xel-Ha is situated a mere 5.5 miles to the north of the Tulum ruins. 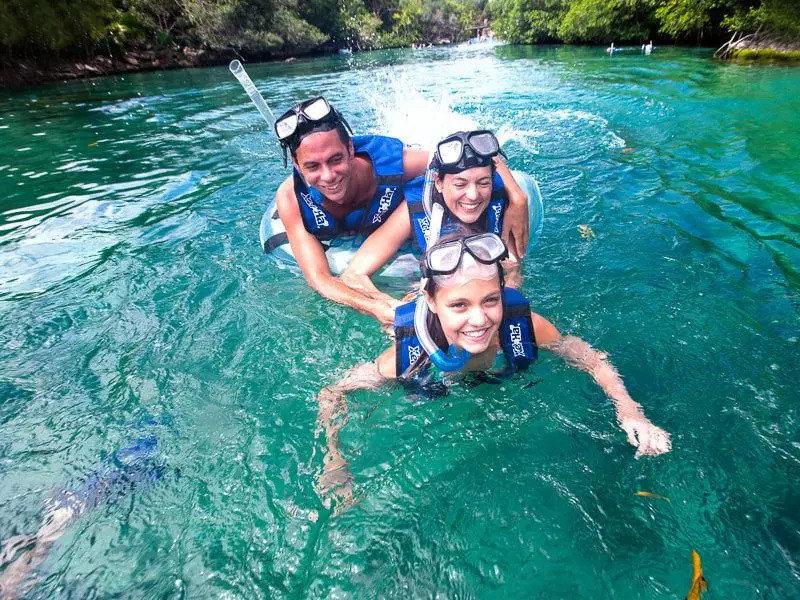 Your best bet to get to Xel-Ha is by purchasing the tour with transportation included. Private transportation can also be arranged, but not worth it. 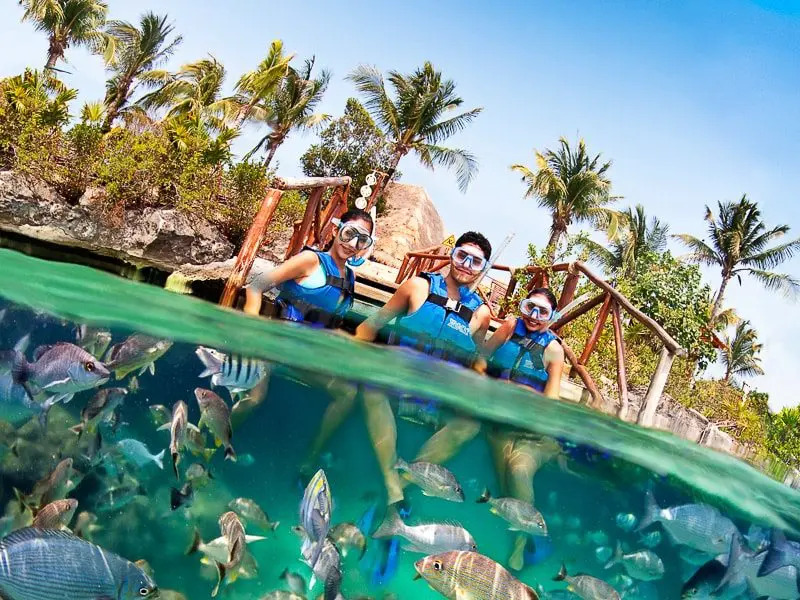 If you decide to only purchase the Xel-Ha entrance fee, you’re best either taking a rental car or simply going by public transportation or taxi. Parking is free if you have your own vehicle. 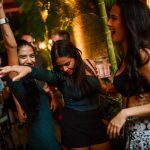 If you take the bus, the return trip with ADO leaves at 5:40 p.m. and 6:05 p.m for Playa del Carmen and at 5:45 p.m. and 6:10 p.m. for Cancun. Tickets must be purchased on-site and are first come, first serve. Times may be subject to change. You can also combine Xel-Ha with a number of other tours. 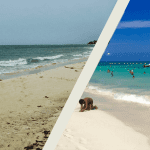 Due to time restraints and proximity, the only tour we recommend for both in one day is the Xel-Ha & Tulum tour at 15% off. The excursion to the Tulum ruins and Xel-Ha Park is the best option for non-adventurers and thrill-seekers alike. 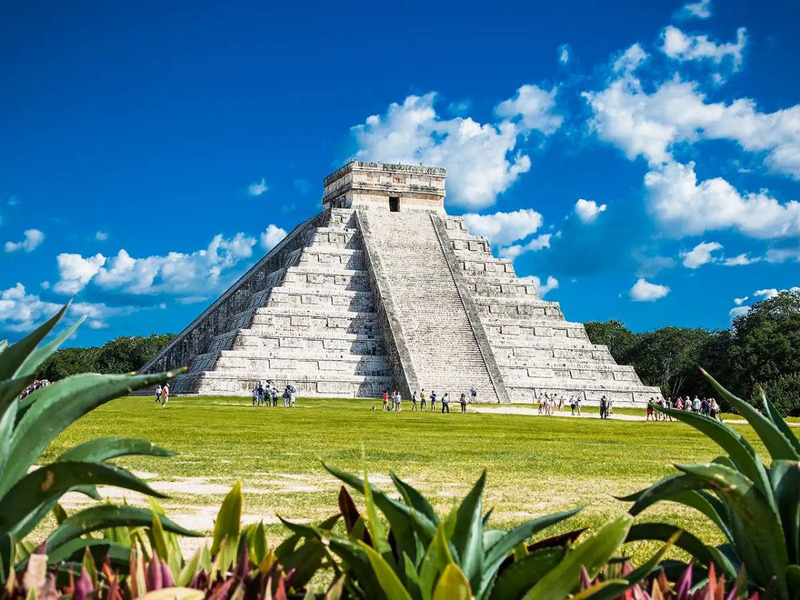 The first part of the tour visits the Mayan pyramids of Tulum. 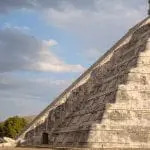 A professional tour guide will accompany you through the archaeological site, explaining in detail the rich history of one of the only walled cities built by the ancient Maya. Following a tour of the ruins, including taking in the breathtaking view from atop the cliff overlooking the Caribbean Sea, you’ll have the opportunity to explore the site on your own or spend a few minutes down at the beach below the ruins. After taking in Zama, or the City of the Dawning Sun as Tulum was formerly known, you’ll continue your journey to Xel-Ha Park. Xel-Ha is about a 15-minute drive north of the Tulum ruins, so you’ll be there in no time. 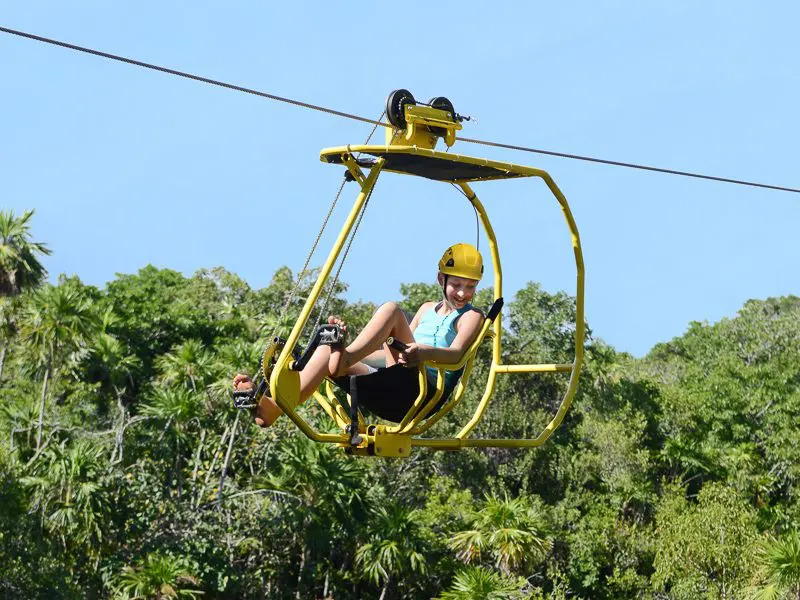 You’ll want to book Xel-Ha with transportation included to and from your hotel. 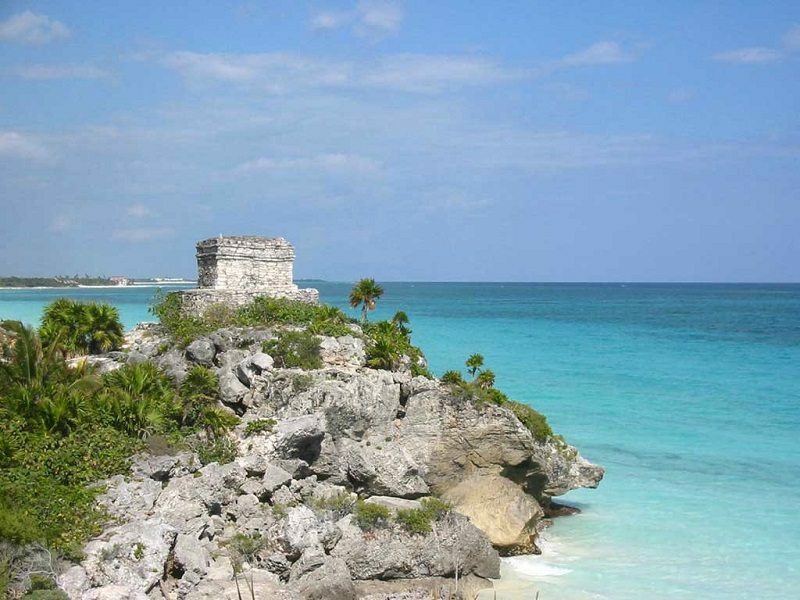 Likewise, you can also purchase the Xel-Ha tour combo which includes a visit to the Mayan ruins of Tulum. 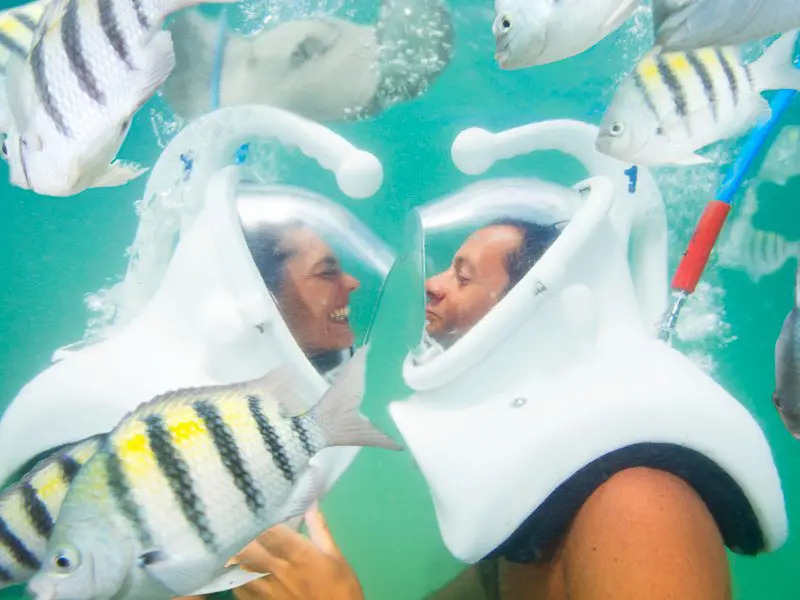 This tour includes round-trip transportation, all Xel-Ha entrance fees, access to the park, unlimited food and drinks as well as the use of snorkel equipment, lockers, and towels. Children ages 0-4 with ID are free. Are you on limited time and want to experience both Xel-Ha and the Mayan pyramids of Tulum on the same day? Explore the Mayan Ruins in the morning and then head to Xel-Ha for the remainder of the day. Children ages 0-4 with ID are free. Don’t forget. 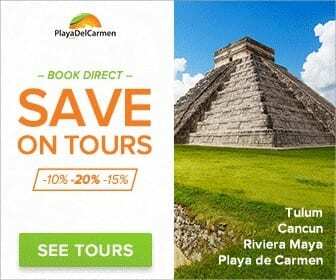 You’ll save up to 15% on your Xel-Ha tour with us, PlayaDelCarmen.com! To book you can contact us directly or toll-free at 1-888-537-9797. Check out the map above to get an idea of the layout of Xel-Ha Park. If you’re trying to plan your activities in advance, the map will help orientate you as to where the Xel-Ha attractions are located. 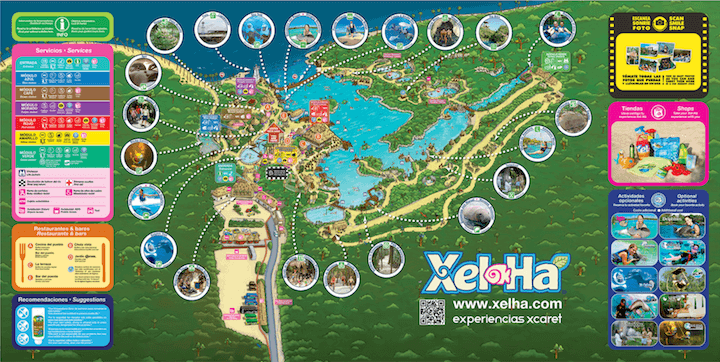 For a better version, click here to download the Xel-Ha map. Did we miss anything? 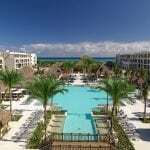 Have you already paid them a visit and would like to share your Xel-Ha reviews with other readers? Let us know in the comment section! Book Xel-Ha online NOW and get 15% OFF! 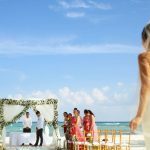 At PlayaDelCarmen.com we’re online and in destination 365 days a year. Our travel consultants are specialists in finding you the best deals and helping you choose the perfect resorts and activities. If you’re planning to stay in an all-inclusive we can even help you price the entire package, including flights. You can reach us anytime via our contact page or toll-free at 1-888-537-9797. Questions or comments are welcome below!